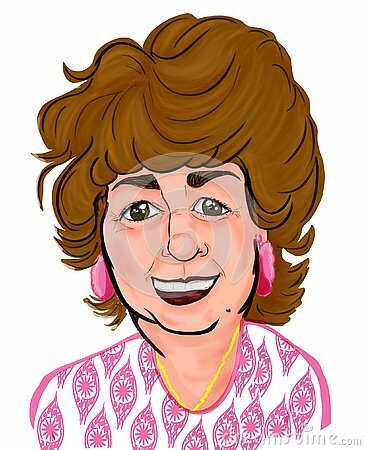 Senior woman cartoon color caricature purple earrings happy and smiling. Meeting old friends. Cheerful senior people hipsters gathering and having fun. Happy pensioners at retirement on white.